This was a VERY sweet book and I really enjoyed it. It read fast (I finished it in about an hour, hour and a half) and it was just really cute. As sweet as it was, it was also a little superficial. The characters were very flat/cookie cutter and the dialogue fairly cliche and abrupt. Also, I could see the how the story would unfold from a mile away. I also realized as I was reading this that it was a spin-off of sorts from a series I haven’t read. Although, based on the deliciousness of the character Lucas (the main female character’s stepdad in this book), I might go back and pick that one up (for sure if it’s available via KU as this one was). 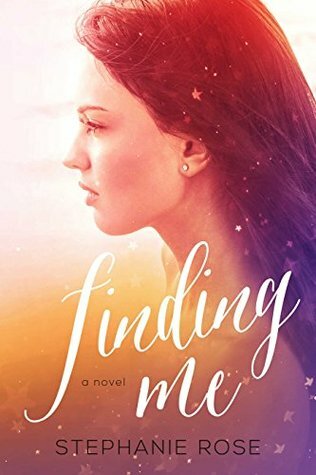 All that said, I absolutely recommend this book for adult readers in the mood for something short and sweet, and for younger romance readers looking for a new favorite. In fact, maybe this book was meant to be geared for young/new adult, I’m not really sure. I didn’t really do a lot of investigative work when selecting this from amazon marketplace from my kindle at 9pm last night, people. This was said with the same nerves and exasperation a divorced 45-year old single mother would say, “I haven’t been on a first date since my 20’s,” as she prepares to embark upon the dating scene for the first time after 20 years of a now failed marriage. This is not a dig at the book by any means, this is just me saying, if you go in knowing you are getting a very sweet, simple, youthful (but steamy) romance, you will enjoy this thing as I did.